Yould would think now summer is over that it would be quiet in the Snapshot and Snippets Garden but it is such a busy time. As well as harvesting the last of the summer crops, it is time to Plant Fruit trees and plant winter hardy crops. And it is the perfect time to plant soft fruits while the soil is still warm and the plants are dormant. Here are a few suggestions of varieties to try, even if you are limited on space. 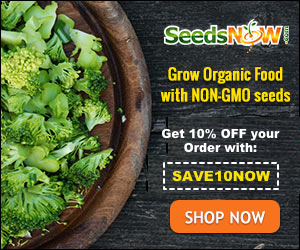 Note – this post may contain affiliate links which will help us buy more seeds while you shop. Who can say they don’t like strawberries? They can be grown in the veg garden under cloches, raised beds, in tubs or even in hanging baskets and window boxes and will taste many times better than the commercial varieties. Many varieties of perpetual strawberries will produce fruit from June through to October! Check out my 10 Tips to Grow Great Strawberries to help you grow your own. Alpine Strawberries – these tasty little morsels are great if you have limited space, or are growing in pots. I always consider alpine strawberries a better bet than garden strawberries. Alpine strawberries are exquisite in taste, and although much smaller, they are ever-bearers, which means they go on fruiting until the first frosts. The plants themselves are also daintier than garden strawberries, so they make a very pretty ground cover. A bright pink flowered strawberry called ‘Toscana’. It is an everbearing variety so as summer progresses there are both flowers and fruits on the plant at the same time. Grow it in a container on the patio or deck and it’s a genuine edible ornamental – it looks good and tastes good too. The ‘super-fruit’ Blueberry is pack full of health-boosting compounds, tastes great and are easy to grow. They can be planted in a tub or border so are great for smaller gardens. Blueberries will produce a fine crop from July to September year after year. And they look good especially this time of year, as the leaves turn crimson. The heather-like white flowers are also scented making the blueberry a great addition to any part of your garden. I personally keep mine in large pots as they need ericaceous soil. You can grow raspberries in containers. Pot up raspberry canes in autumn, three to a 30cm (12in) pot, good organic compost, Make sure plants are well fed and watered during summer. Autumn-fruiting raspberries are simpler to prune. Cut back all the canes to ground level in February. Reduce the number of canes slightly in summer if they are very overcrowded. Autumn Treasure – The large raspberries, which are an attractive colour and mouth-watering flavour, should be ready to harvest from late August/early September, and the canes are erect, self-supporting and spine-free for easy picking. Raspberry Twotimer Sugana This versatile raspberry earns its name from the two crops it will give you in the same year! Like other autumn varieties, it will crop on the new season’s growth August-October, but unlike other varieties, you should leave these stems to re-crop the following June, whilst training the new stems in for the following autumn’s crop.The delicious fruits are larger than any other autumn fruiting variety. Plus, with a strong, upright habit they are ideal for growing in containers on the patio. A tayberry is a cross between a raspberry and a blackberry. It is a marvellous mixture involving the size of a big raspberry with the sweetness and juice of a blackberry. And is named after the river Tay in Glasgow as that is where it was bred. So it is winter hardy. Perhaps just as important, tayberries are much more restrained than blackberries in their spreading habits. Whereas blackberries can run amuck all over a garden, tayberries can be safely controlled. The best time to plant tayberries is in their dormant period, either in autumn or early spring. If you do want to propagate tayberries, simply bury a tip of a cane into the ground during summer. It will naturally root, and you will be able to cut it away from the parent plant when it is sufficiently mature a few weeks later. So why not grab your favourite soft fruit plants from the garden centre or your plant suppliers and get planting. Next summer you will be enjoying your Favourite fruits. Great and informative post as always!